Koia rā te pou herenga waka, te pou herenga iwi, te pou herenga kaupapa. E riringi nei ngā roimata ki te puna ki rehe rangi. E kore e mimiti taua puna i te maringi nui o hūpē, o roimata ki te hunga kua riro ki te pō. E te taiwhakarunga, e te tai whakararo, e uta, e tai, kia kotahi te tū, kia kotahi te whakaaaro ki te ora o tō tātou tupuna me āna uri. Welcome to our first monthly panui for 2017. It’s been a busy start to the year for our team and we’re excited to start sharing the Maunga Treaty Settlement journey with all of our whānau. Whilst the journey has just begun, a lot has been happening as we now head into the first phase of negotiations with the Crown. Our aim is to achieve the best possible settlement relating to our Maunga that fits with the aspirations of all our whānau, hapu and iwi. It’s important that you are aware of what’s happening and then have your say when it comes time to vote. 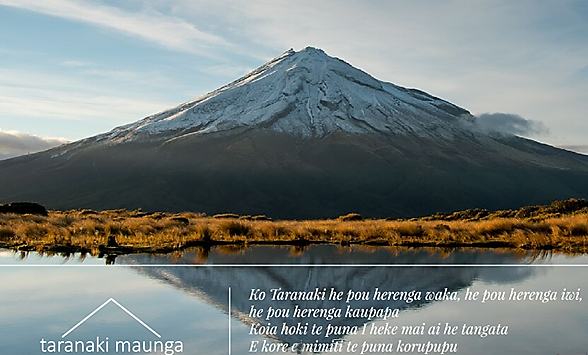 In each panui you will get regular updates on the Treaty Settlement process, learn more about the team of negotiators, and hear stories from within our Iwi relating to the Maunga. You will also learn about the great successes happening amongst our Iwi, and have the opportunity to share korero that you think is important. Please make sure you and your whanau are registered with your Iwi and that your contact details are up to date.